Model Designation: TURBO TARGA This wonderful Porsche 930 Turbo Targa was professionally converted to Speedster specifications for a private collector. 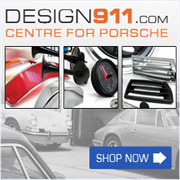 All genuine Porsche Speedster parts were used in the renovation. The vehicle was completely stripped back and renovated, new windscreen, cabriolet hood and Speedster humps were installed, the interior was also upgraded to Speedster specifications. The turbo inter-cooler was relocated to the front of the car allowing for a flat engine lid to complete the conversion. The private collector commissioned a “no expenses spared” Speedster conversion for his Porsche turbo Targa. This is truly a very rare opportunity to own a very special vehicle. About Porsche 911 Speedster Completing the soft-top 911 line-up was the Speedster, which revived a charismatic model from Porsche's past when it arrived in 1989, the name previously having been applied to that most stylish of the many Type 356 variants. The idea of a new Speedster had first crystallised in 1983 with the development of an ultimately stillborn prototype. Porsche's president, the German-American Peter Schutz, revived the project in 1986, knowing that such a model would have great appeal in the United States market. A prototype based in the 911SC was shown at the Frankfurt Motor Show in 1987, but by the time the production Speedster arrived, the 911SC had been superseded by the Carrera '3.2'. Based on the 911 Turbo Cabriolet, though normally aspirated, the 3.2-litre Speedster was launched immediately prior to the introduction of the new Type 964 bodyshell and thus was the last 911 model to feature the old-style body based on the brilliant original design of 1963. The latter was reworked by chief stylist Tony Lapine, incorporating numerous references to the original 356 Speedster as well as a pair of controversial 'camel hump' cowlings behind the seats that concealed the stowed-away manual hood, a simplified affair described by the factory as for 'temporary' use. From 1984 Porsche had offered the 'Turbo-Look' body style - flared wheelarches, large rear wing and deeper front spoiler - on its normally aspirated models including the Speedster, the vast majority of which were ordered with this option. One of the rarest of the 911 family, the Speedster was built during 1989 only, a mere 2,065 cars being completed of which only 171 had the narrow (non-'Turbo-Look') body.